Face paint is a wonderful way to put the finishing touches to any costume, whether homemade or store bought. 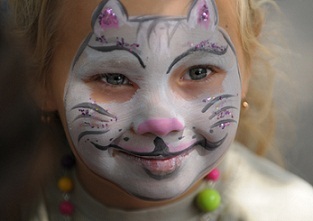 For children, face paint is a great way to get the look they want without a mask. Masks tend to be uncomfortable and difficult to see out of for those sweet little faces. For their comfort and safety, they can simply wear a uniquely creative mask that you apply to their cute little faces. You can purchase face paints at your local costume store or use one of our recipes to create your own. Making your own will save you money, as most of the ingredients you'll find readily available in your kitchen cabinets. Be sure to have small containers, such as baby food jars with lids, to store your newly created paints in. 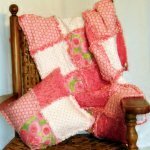 You'll also want to have old towels, robes, t shirts or whatever to drape over your little ones clothes to protect them as some colors will stain. 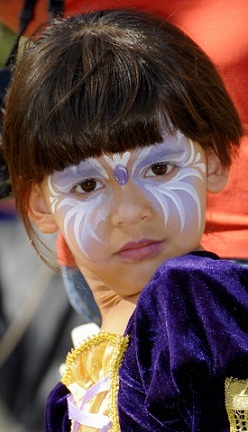 For other great tips on face painting check out CostumeConnectz helpful tips. We have several different recipes that are very simple to make from ingredients you most likely already have around your home. You'll need measuring spoons, small to medium bowls for mixing, spoons to mix with, jars or small plastic containers with lids for storage. You can even have on hand some jeweled beads or glitter to add a little sparkle to your beautiful mask. For applying the mixtures, you'll need some make-up sponges or soft brushes. For clean up after all the fun is over, simple soap and water will remove the made up face. Baby wipes are also great way to clean up those little faces once it's time to remove their "masks". 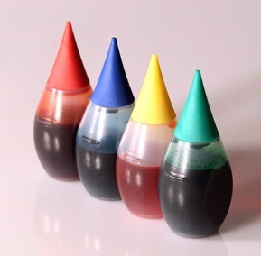 Boxes of liquid food color generally come with just four basic colors, yellow, red, blue, and green. These are great for basics, but if you need a slightly different color, you'll need to mix your own. So here are some basics to help you design your own colors. You may need to add a little more of one color or the other to get to the shade you are seeking. This recipe is actually edible, you don't have to worry if your little one licks his/her face, or rubs their hands from cheek to mouth. A single batch makes enough to cover a toddler's face. It easily divides to make two different colors. If you need more colors or have more than one face to paint, you'll want to double or triple your batches. Mix the shortening and corn starch till a smooth consistency. If you are wanting to make several colors, divide the mixture into several small bowls. Add food color a drop at a time and stir in till you get to the color you desire. Apply to their face with cosmetic sponges or soft brushes. Store the remaining paint in small jars or plastic containers and seal tight. Not only is this recipe edible, it's totally without chemicals. This recipe makes about a cup of face paint. Mix the flour, cornstarch, corn syrup and water in a bowl till well blended and smooth. Divide into smaller bowls to add color. One batch easily makes two - three colors. Increase the batch size if you desire more colors. Use brightly colored fruits and vegetables to add color to your paint base. Mix the paint base and the fruit or vegetables with a blender. Place colored mixture in jars or small plastic containers with lids.